I’m working on printing, framing, and generally planning the show that will hang in Hanover NH on December 5 at the Howe Library. Still, I’m working with new images too, even if they won’t make the show. This one might though. We had a hard frost on Monday, really our first hard one. 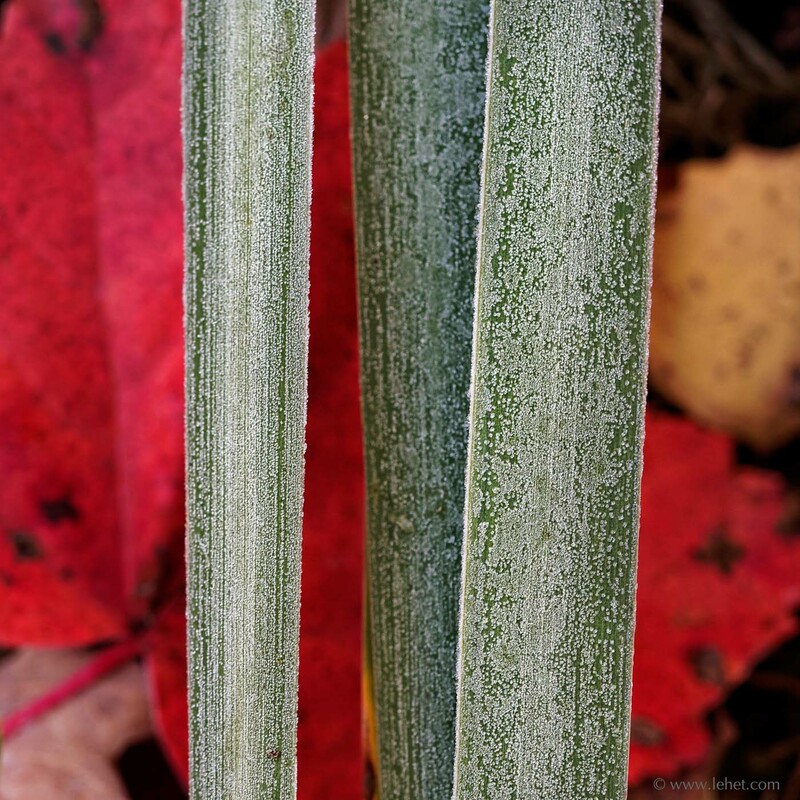 It was a little late, as far as getting the frost-on-fallen-leaves subject that I’ve explored over the years. I spent a lot of time bending over with the macro lens, and here’s one harvest from that effort. I’ve also been thinking about the theme of the show, anicca, and how that ties to photography. It’s so paradoxical, how photography makes impermanence so poignant. Photography in a superficial sense “freezes” a view of the world. Oddly, rather than solidifying the world more, this points out that reality is more like smoke than rock. It’s a river we can’t step into twice. We have a glimpse of something, a moment, form, texture, maybe color; and it’s gone. There is meaning, resonance — that can linger, but the moment is gone. That frost is gone, and it’s raining today, the leaves marching through time toward brown mush. This entry was posted in Autumn, garden, New England, Red, Vermont on October 21, 2014 by john lehet.